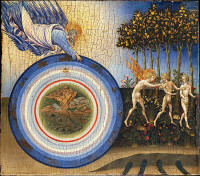 Giovanni di Paolo di Grazia was born in Siena, Italy around 1403. 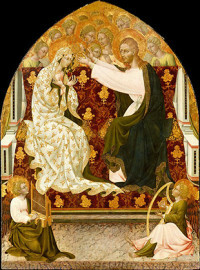 He probably studied under the painter Taddeo di Bartolo and was also influenced by Gentile da Fabriano. 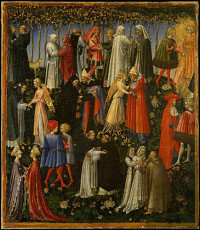 Di Paolo’s most important works were produced during the 1440s and early 1450s, and include his altarpiece of the Presentation of Christ in the Temple and six scenes from The Life of St. John the Baptist. 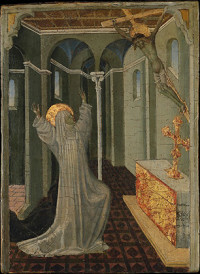 He passed away in his hometown of Siena in 1482.